DMK chief M. Karunanidhi on Tuesday denied the allegation of Chief Minister J. Jayalalithaa that he was aware of ceding Katchatheevu islet to Sri Lanka and did not oppose the move. 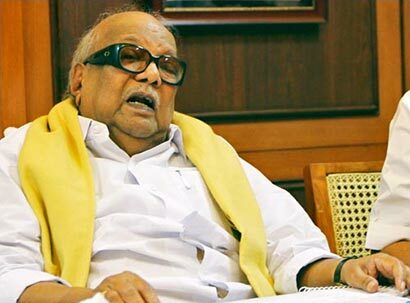 Reacting to the Chief Minister’s question that how Karunanidhi was able to add some sections to the agreement, if he was not aware of it, the DMK leader said the DMK pressed for the incorporation of a few sections only after coming to know about the agreement. But, the signing of the agreement was not known to him and it came as a shock for him, he said. The DMK passed a resolution opposing the agreement and held State-wide demonstrations opposing the move, he said and added that he himself had participated in the demonstrations. DMK members had opposed the move in Parliament in 1974. The Teso headed by the DMK had decided to move the Supreme Court against the ceding of Katchatheevu on April,15, 2013, and later a petition was filed in the Supreme Court on 10 May 2013. He said Jayalalithaa had written a letter to the Centre on July 23, 2003, stating that the best possible solution is to get the island of Katchatheevu and adjacent seas on lease in perpetuity solely for fishing, drying of nets and pilgrimage. She had said the Sri Lanka’s sovereignty over Katchatheevu could be upheld at the same time, the DMK leader alleged.